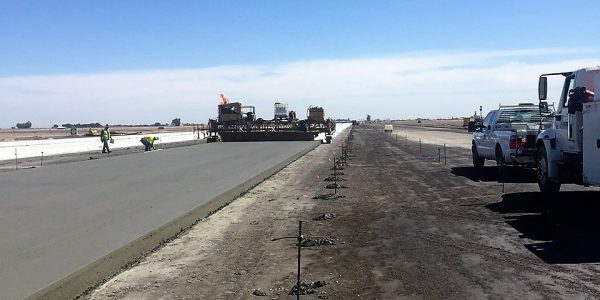 Naval Air Facility (NAF) El Centro required repair to existing Runway 12/30 and repairs to Taxiways “A through H.” The runway repairs included full depth runway reconstruction, repair of asphalt shoulders, demolition and restriping of pavement markings. 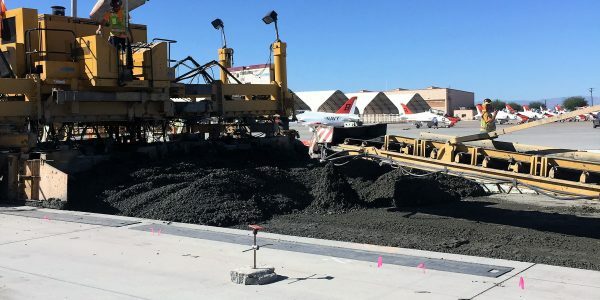 Repairs to Taxiways A through H included repairing all existing asphalt concrete portions of the taxiways by performing crack sealing, patching, and hot-mix asphalt overlay along with full depth repairs on Taxiways B, D, and E. Taxiway E repairs included a portion of the existing asphalt taxiway being demolished and a reconstructed structural section including Portland Cement Concrete in place of the existing asphalt. 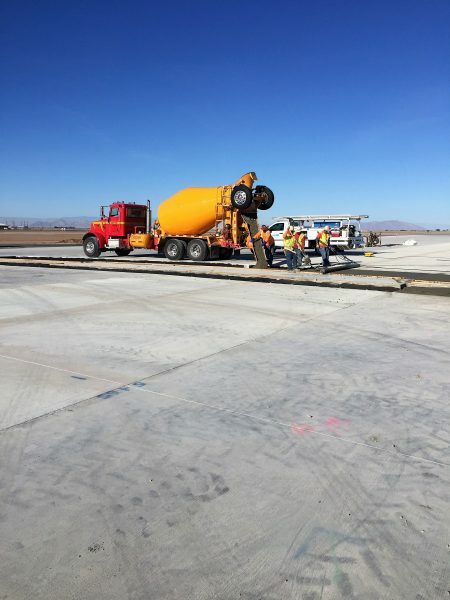 Over 21,000 CY PCC Concrete Runway and Taxiway. 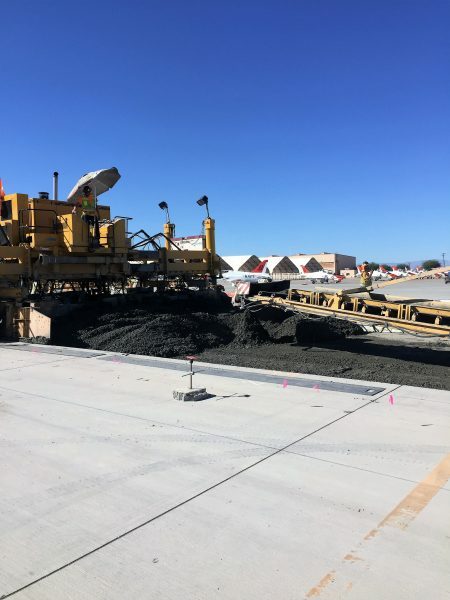 Over 25,000 CY Cement Treated Base Batched on Site, Placed, Graded & Compacted. 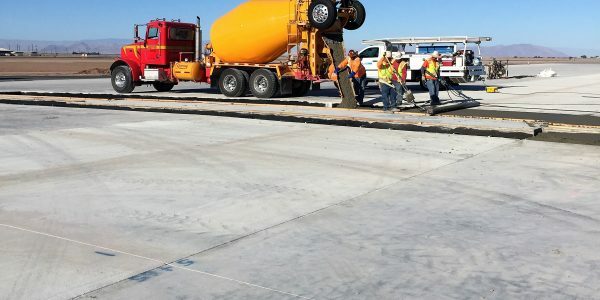 92,867 Tons of Recycled Cement Crushed on Site. 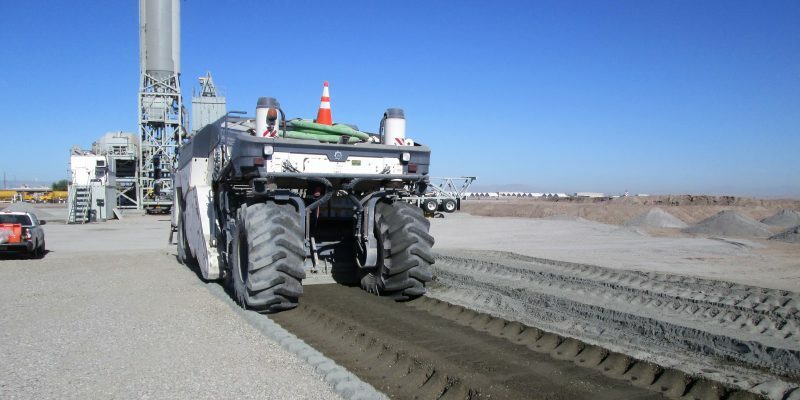 Over 90,000 SY of Lime Treated Stabilized Soil. 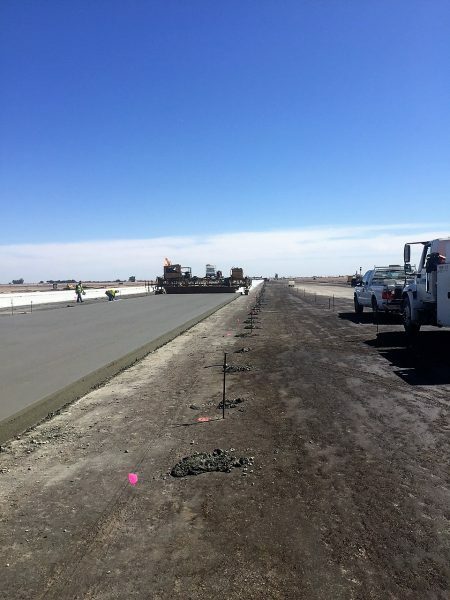 42,917 Tons of Asphalt Concrete Pavement Taxiways and Shoulders. 95,000 LF of Existing AC Crack Repair. 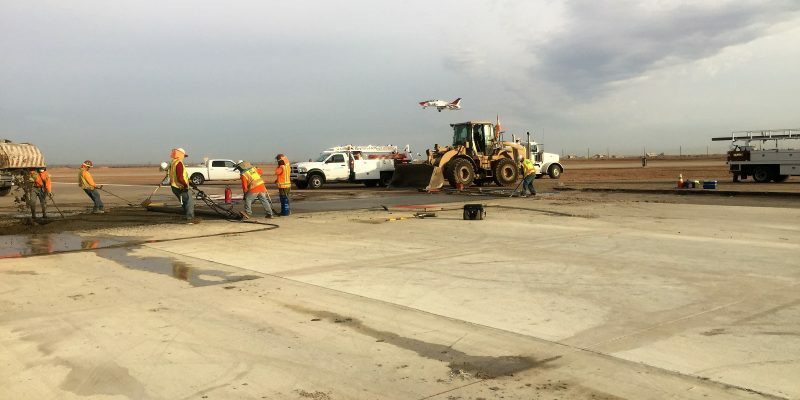 Schedule was accelerated to finish by Jan 1 to accommodate the Blue Angeles training schedule.